The Local Government and Communities Committee of the Scottish parliament has approved the final Regulations necessary to enact the Housing (Amendment) (Scotland) Act 2018. The regulations now go before a plenary vote in Parliament on the evening of 18 September and, if approved (which is likely following the Committee's recommendation), the Minister will then sign the instrument immediately afterwards bringing the Act officially in force. Michael Cameron, CEO of the Scottish Housing Regulator, has released a further blog on progress with the Regulatory Framework review. Scottish Government has now made regulations commencing the Housing (Amendment) Scotland Act 2018, and have also laid in the Scottish Parliament draft regulations, under section 9 of the Act, on local authority influence over RSLs. SFHA is feeding into the SHR's review of the Charter indicators, and is seeking input from our practitioners forums. The Housing (Amendment) (Scotland) Act 2018 received Royal Assent on 6 July 2018. This legislation is intended to lead to the Office of National Statistics (ONS) reversing its decision of September 2016 to reclassify RSLs as pubic non financial corporations. 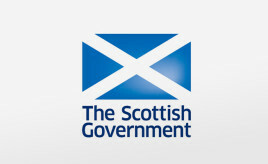 SFHA has continued to press Scottish Government for a meeting to discuss its consultation response and accompanying annex to the draft order proposing extension of FOI to RSLs and subsidiaries. SFHA Head of Public Affairs Sarah Boyack has written to Minister for Parliamentary Business Joe FitzPatrick MSP. At our Chairs’ Conference in January, we highlighted that we would be looking to put together an SFHA Chairs’ Forum. This group would act as a sounding board on all issues of interest and concern to Chairs for the mutual benefit of Chairs themselves and SFHA. Whilst most communication is likely to be electronic (depending on preferences), we will also bring together a meeting of the group, potentially 6 months or so after the annual Chairs’ Conference. We are aiming to have an initial meeting in the Autumn – depending on demand – in order to provide an extra opportunity for members to network and discuss key issues prior to the SFHA Chairs’ Conference in January. SFHA Model Role Descriptions for Governing body Members and Office Bearers are now available to all SFHA members. The New Regulatory Framework – What do you need to know? At last year's SFHA Chairs’ Conference, the Scottish Housing Regulator outlined its initial proposals for a revised Regulatory Framework. One year on, the SHR has now conducted a formal consultation on these proposals – which it is aiming to finalise in February 2019 with a view to finalising a revised Framework in April 2019. SFHA has submitted its response to the SHR's Regulatory Framework consultation. Scottish Government announces its 2019/20 budget. SFHA has welcomed the newly released Scottish Government statistics showing substantial increases in the delivery of new build affordable housing, with a 21 percent rise in the number of affordable homes delivered in Scotland during the last year. SFHA's draft response to the Scottish Housing Regulator's consultation on the Regulatory Framework review is available to view. Following a consultation at the end of 2017, the Scottish Government has confirmed that all existing homes in Scotland will be required to meet a new standard for fire safety.